Home Opinion Is this Pakistan that Quaid-e-Azam wanted? Is this Pakistan that Quaid-e-Azam wanted? 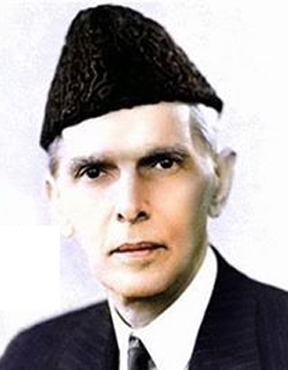 Many will disagree with this view, citing Jinnah’s 1947 speech in Karachi as clear indication of his desire to build a secular nation: ‘You are free to go to your temples; free to go to your mosques, or any other place of worship in this Pakistan you may belong to any religion, caste or creed – that has nothing to do with the business of the State.’ But a discussion on what should have been or could have been is an endless one. History cannot be undone. And in light of the Faizabad sit-in, even thinking of separating Islam from Pakistan would be political suicide for any party. So for better or for worse we will continue to function as an Islamic Republic. Repeat after me so you may not forget: Pakistan is the world’s first Islamic Republic, Benazir Bhutto was the first female head of a Muslim nation. The principles of Islam are embedded into the state of Pakistan: the President and Prime Minister must be Muslim, a three day public holiday must be announced for Eid, Zakat must automatically be deducted from a citizen’s bank accounts…There is no doubt that Islam is our state religion. But do we allow basic principles of Islam to govern our daily lives? Religious minorities in Pakistan continue to be persecuted in the name of safeguarding Islam. The good Muslim should pause and ask why? Surah Al-Baqarah explicitly states ‘There shall be no compulsion in (acceptance of) religion’ (2:256). Yet, according to a report released in 2018 by the Movement for Solidarity and Peace, roughly 1000 Christian and Hindu women in Pakistan are forcibly converted to Islam and married to Muslim men every year. Will the Islamic Republic of Pakistan still remain the Islamic Republic of Pakistan if we start erasing the white rectangle on our flag? Now every year green lights dot the city streets on Eid Milad-un-Nabi. 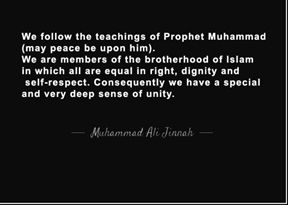 But while we celebrate the Prophet’s (PBUH) birthday as a nation, as a society we forget to follow his teachings. Female infanticide is strictly forbidden in Islam and despite this the Edhi Foundation found 345 new born baby girls dumped in the garbage from January 2017 to April 2018 in Karachi alone. The Prophet is famously known to have said ‘Lucky is the woman whose first child is a daughter.’ Nevertheless, in our Islamic Republic, the mother will be cursed, beaten and made to reproduce till she bears a son. But in the end even the child will not be spared; according to the NGO Sahil 11 cases pertaining to sexual abuse of children are reported every day in Pakistan. Given this, should we really be boasting about our ‘Islamic’ Republic structure? As a child I often heard the story of a woman who would dump garbage on the Prophet everyday, and yet when she fell sick the Prophet went to offer her help. As an adult I read headlines of maids being beaten to death for eating from the same plate as her employer’s child. A good Muslim idolizes the Prophet’s (PBUH) way of life. Now the Prophet (PBUH) married a twice widowed and financially independent businesswoman. But the good Muslim men of Pakistan seek virgin brides and refuse to educate their daughters in case they ‘get out of hand’. Despite being a wealthy lady from the powerful Asad clan, Hazrat Khadija proposed to her agent (the Prophet PBUH) who was almost two decades younger than her. Any woman attempting this in our society today will be labeled ‘indecent’ (if I am to be polite) or ‘vulgar'(if I am to be blunt). 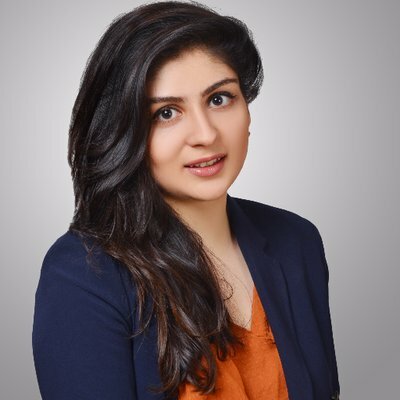 According to the HRCP 213 cases of honour killings were registered in 2018 alone. Sexual harassment in work places is still rampant despite the fact that laws criminalizing it exist. Women are objectified, exploited and then blamed for their experiences, for somehow Muslim men always remember their right to four wives but often forget the Prophet’s (PBUH) instructions to lower their gaze. I am no religious scholar and make no claims of expertise on Islam. But I don’t need to bear the title of mufti or ayatollah to know that Islam mandates humanity. The current condition of Pakistan does not reflect the religion its identity has been built around. The Prophet (PBUH) said: ‘he who has no kindness has no faith’. And given the social practices which continue to plague our nation one is left to wonder: where is the faith? Where is the Islam in the Islamic Republic of Pakistan? Next articleKashmir after Simla and now what next!